The growth game is changing in Google paid search and Google Shopping. While overall spend in both channels increases each year, so does the need for a unified approach to find the white space in Google Ads. Cohesion is critical between Google paid search and Shopping in 2019. 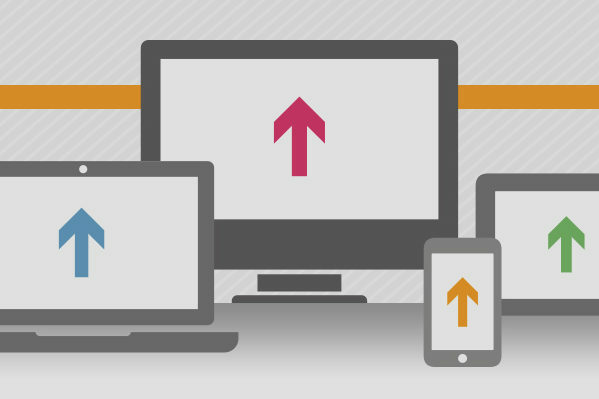 Each channel plays a valuable role in the acquisition journey. Retail marketers that develop a balanced strategy can determine where their customers research items versus where they purchase items. 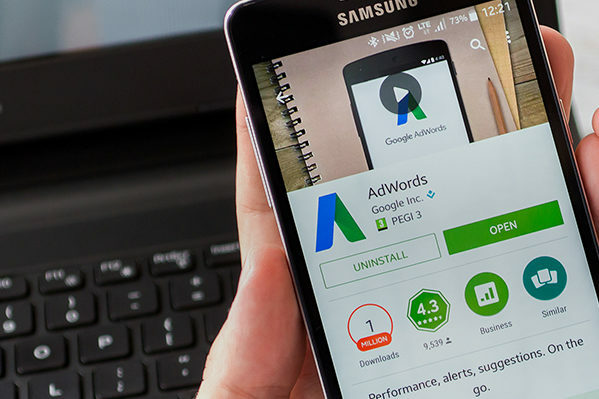 In the 2019 Benchmarks Report: Google Ads in Retail, Sidecar analyzed e-commerce data across hundreds of U.S. retailers to uncover the trends and key performance indicators driving Google paid search and Shopping growth. Sidecar’s third annual benchmarks report is now available. 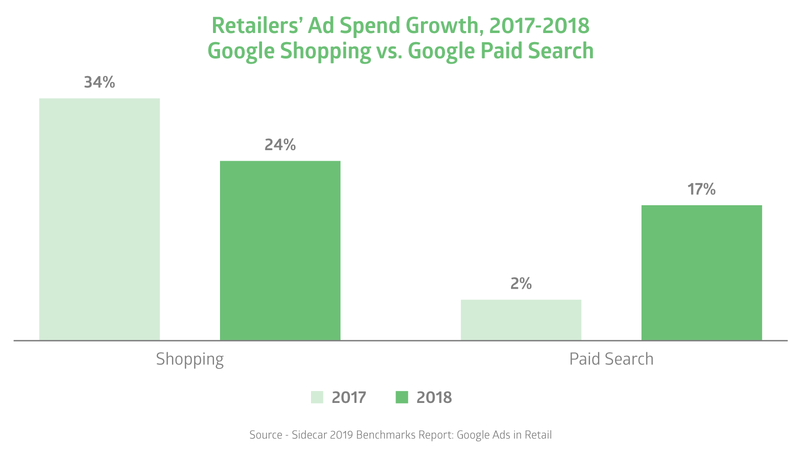 Google paid search and Shopping each saw a healthy increase in year-over-year spend in 2018. However, Shopping’s slowed spend growth, paired with a notable lift in paid search spend, indicates retail marketers are more efficiently allocating budget across the channels. Competition is fierce in Google paid search and Shopping. 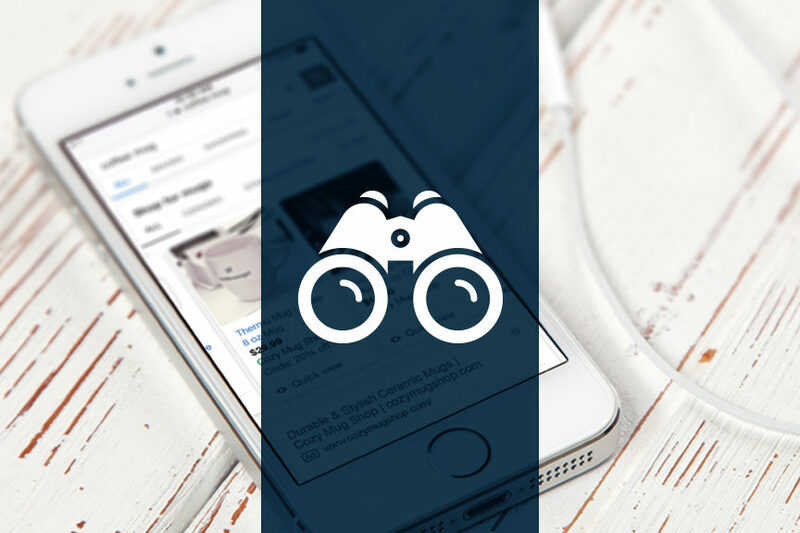 Rising cost-per-clicks in both channels on desktop and mobile suggest the field is expanding and more retailers are entering the space with the budgets to compete. Higher spend also catalyzed more revenue opportunities. 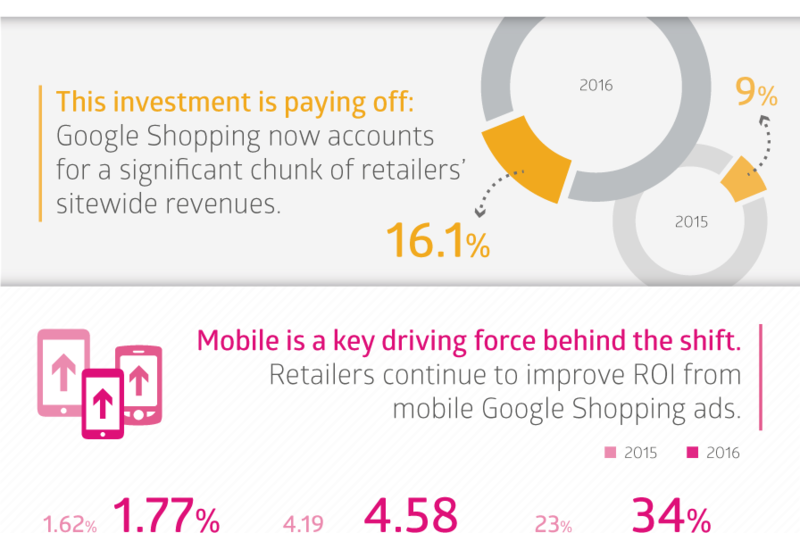 For instance, mobile revenue saw significant YoY gains, increasing 49% in Google Shopping and 32% in paid search. Limited ROAS growth occurred across the board, according to the 2019 Benchmarks Report. 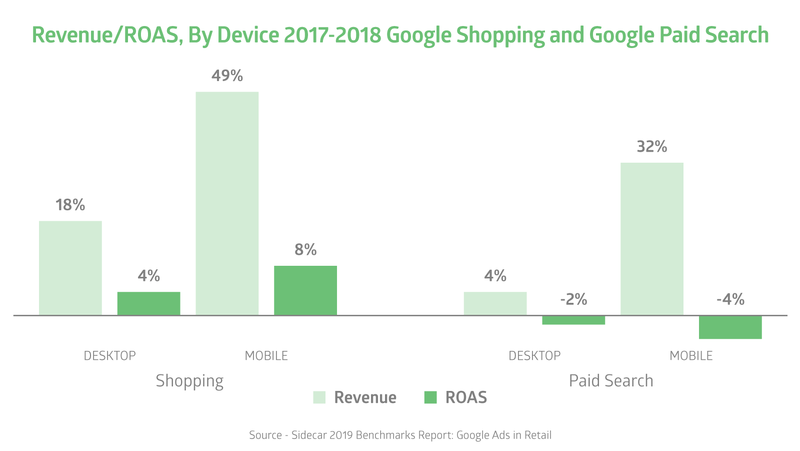 Google Shopping ROAS saw a slight lift on desktop and mobile compared to negative ROAS growth in paid search. Sidecar forecasts that surging mobile growth will continue through the end of 2019. 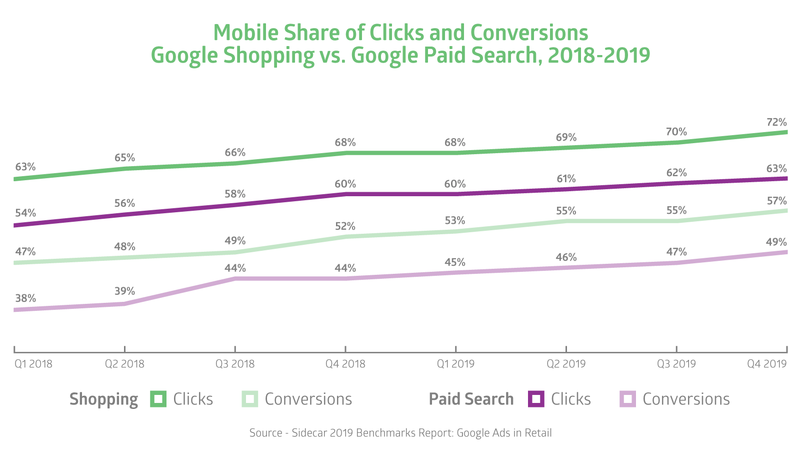 In Q4 2018, mobile accounted for 68% of clicks in Google Shopping and 60% in paid search. 52% of Google Shopping conversions occurred via mobile in Q4 2018. Additionally, paid search conversions are trending toward mobile, making up 44% of conversions in Q4 2018. 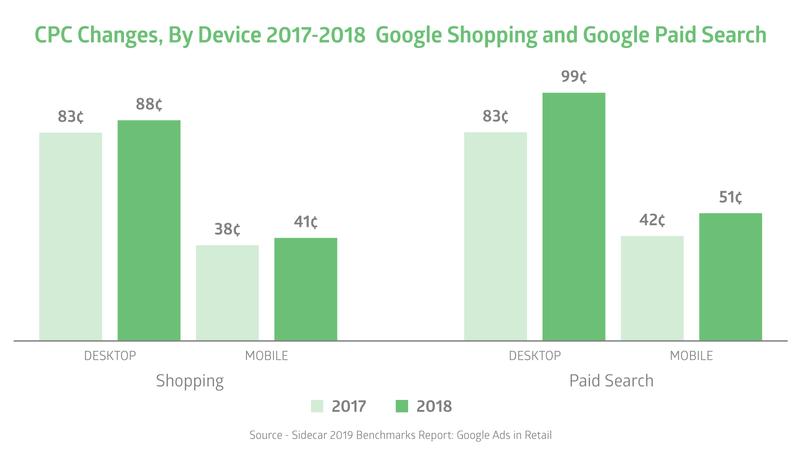 We expect mobile to drive 70% of clicks in Google’s search and shopping channels by year-end 2019. Similarly, mobile will drive half of conversions in both channels.